NUNM students have many opportunities to explore topics, research and areas of practice that interest them. From broad elective choices to research study participation and self study, our students choose the doctor they want to become. Here, Jessica Zadra, naturopathic doctoral student, shares her research and perspectives on premenstrual dysphoric disorder. We are all familiar with premenstrual syndrome (PMS) – what it is, when it arrives, and how it impacts our lives on a monthly basis. Many of us have probably learned ways to mitigate, or at minimum, deal with this time of the month to ensure that it doesn’t completely derail us. Premenstrual dysphoric disorder (PMDD) on the other hand, is a diagnosis women may be less familiar with. This disorder may be present but unnoticed, if symptoms of PMS seem to greatly interfere with quality of life. Premenstrual dysphoric disorder (PMDD) is sometimes viewed as simply a heightened form of premenstrual syndrome. This disorder is actually a severe mood disorder characterized by many cognitive–affective symptoms that occur in a cyclic pattern before menstruation. While premenstrual symptoms include a combination of mood, behavioral, and physical alterations prior to menstruation, most females report only mild discomfort that does not impede their lives. 5%-8% of women conversely experience debilitating symptoms that cause significant psychological stress and functional impairment during this time. To meet the criteria for PMDD, diagnoses are based upon a peri-menstrual pattern that meets at least five physical, affective, and/or behavioral symptoms. Qualifying symptoms include mood swings, irritability/ anger, depression/ anxiety, decreased interest in usual activities, problems with concentration, changes in appetite, lethargy, insomnia, headaches etc., in combination with a severity rating of the symptoms that causes a significant distress and/or interference with work, school, usual social activities, or relationships with others. When diagnosing PMDD, it is important to first consider and rule other psychiatric disorders. Ruling out other disorders ensures that the peri-menstrual disturbance is not an exacerbation of other mental impairments such as a major depressive disorder, panic disorder, bi-polar disorder, dysthymia, or a personality disorder. What is intriguing about PMDD is that several studies conclude that women who are vulnerable to and experience PMDD do not generally have abnormal levels or any other type of hormonal dysregulation. It is actually a sensitivity to normal cyclical hormonal changes that causes symptoms, which is why PMDD is often categorized as a mental health depressive disorder and treated with antidepressants such as selective serotonin reuptake inhibitors (SSRI’s). Allopregnanolone (ALLO) & gamma aminobutyric acid (GABA): Some studies have suggested that women with PMDD have a decreased sensitivity to GABA receptors due to a lower concentration of ALLO (a metabolite of progesterone) in the luteal phase and in increased times of acute stress. SSRIs enhance the sensitivity of GABA receptors, likely playing a role in the relief they provide. Estrogen & Serotonin: Women with PMDD may also be more sensitive to the effects of estrogens on serotonergic function as they exhibit serotonin abnormalities in the late luteal phase when estrogen levels decline. Additionally, it has been observed that PMDD symptoms are aggravated during tryptophan depletion. This explains another reason as to why SSRIs provide relief for some women with PMDD in a matter of hours or days, as opposed to weeks, for those with general anxiety or depression. Genetic Susceptibility: Studies on twins have shown that there are both inheritable traits and genetic polymorphisms that make someone more susceptible to experiencing PMDD. This includes genetic variations regarding both an estrogen receptor gene and a serotonin transporter genotype. As mentioned, the traditional approach in treating PMDD includes SSRIs, and may also include other psychotropic agents like benzodiazepines (BZDs). Additionally, other pharmacological methods may include the use of oral contraceptives or other hormonal therapies to suppress ovulation. Are there ways to treat PMDD holistically? 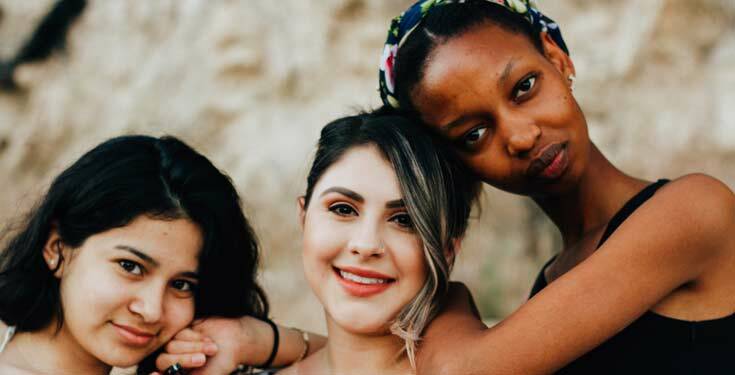 While it is important to have the severity of symptoms evaluated, there are several ways that we can support PMDD holistically and nutritionally. A whole foods diet rich in complex carbohydrates and adequate protein that increases both tryptophan availability and serotonin levels. Consumption of vitamin B rich foods- especially Vitamin B6, as it plays an important role in serotonin synthesis. These foods include lean meat, fish, pistachios, sunflower seeds, beans, and avocados. The inclusion of Omega-3 fatty acids to reduce the overall inflammation associated with premenstrual disorders, and to support neurotransmission. A reduction of sugar, sodium, and caffeine. Cognitive Behavior Therapy (CBT): multiple studies have demonstrated CBT as an effective non-pharmacologic approach for the treatment of PMDD. Light Therapy & Circadian rhythm entrainment: Seasonal affective disorder (SAD) and PMDD can often overlap and share clinical features possibly due to a common serotonin transporter polymorphism. Light therapy has been show to significantly reduce depressive symptoms in PMDD patients. Stress Management: relaxation, meditation, yoga and breathing techniques have all been suggested for managing PMDD. Reid RL. Table 1, Diagnostic Criteria for Premenstrual Dysphoric Disorder (PMDD). https://www.ncbi.nlm.nih.gov/books/NBK279045/table/premenstrual-syndrom.table1diag/. Published January 23, 2017. Accessed December 17, 2018.